Context: Like many of our scholarly journals, U.S.-Japan Women’s Journal is a community of minority voices in and of itself. This volume celebrates 50 issues of bringing women’s studies and scholars together across international boundaries. Context: Azalea presents five pieces by Korean author Kim Sagwa, who was able to complete her first novel under the United States an Alien of Extraordinary Ability in the Arts visa in 2016. One must wonder, given the tide change in immigrant policies and arts funding under the current administration, if such visas will be available for international artists in the future. Context: Biography launched a new annual section that provides reports on life writing from across the world. This new venue gives us a lens by which to see global shifts in personal identity, from authors writing out of the U.K.’s Brexit to memoirists lyrically documenting the U.S.’s transgender community to historical biographers nostalgic for pre-1949 Republican China. *Institutional access to online aggregators such as Project MUSE may be required for full-text reading. For access questions, please see the Project MUSE FAQ available here or contact your local library. Established in 1947, the University of Hawai`i Press supports the mission of the university through the publication of books and journals of exceptional merit. The Press strives to advance knowledge through the dissemination of scholarship—new information, interpretations, methods of analysis—with a primary focus on Asian, Pacific, Hawaiian, Asian American, and global studies. It also serves the public interest by providing high-quality books, journals and resource materials of educational value on topics related to Hawai`i’s people, culture, and natural environment. Through its publications the Press seeks to stimulate public debate and educate both within and outside the classroom. For more information on the University of Hawai`i Press and our publications, visit www.uhpress.hawaii.edu. To receive table-of-contents email alerts for these publications, please click here to sign up at Project MUSE. 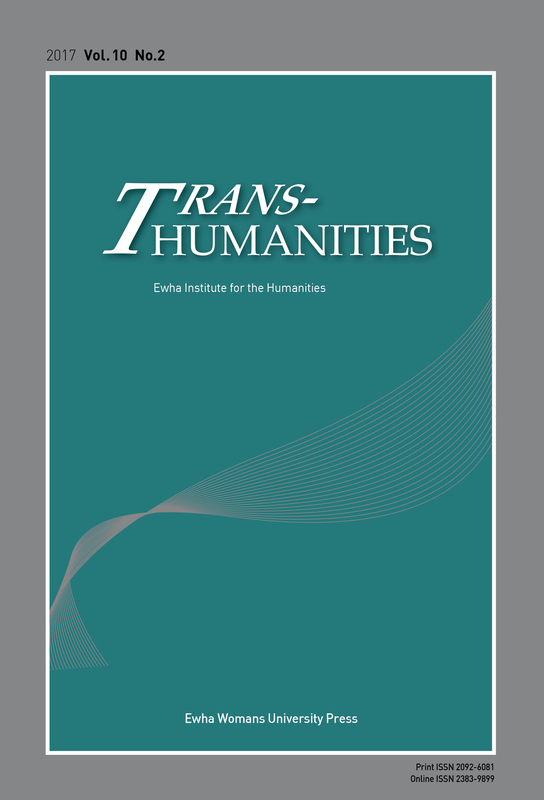 Trans-Humanities publishes materials that expand humanities research to include contemporary cultural and sociological phenomena and to open an academic and discursive space for trans-boundary and multi or trans-disciplinary approaches and communications, not just in the humanities but also the social sciences, the natural sciences, and the arts. Sign up to receive free email alerts, when new content posted. Trans-Humanities publishes materials that expand humanities research to include contemporary cultural and sociological phenomena and to open an academic and discursive space for trans-boundary and multi or trans-disciplinary approaches and communications, not just in the humanities but also the social sciences, the natural sciences, and the arts. Sign up to receive free email alerts, when new content posted! If you’re attending the Association for Asian Studies Annual Conference in Toronto March 16-19, 2017, be sure to visit the University of Hawai’i Press at booth 600! Stop by and say hello as you browse through our display copies and catalogs. You may also pick up an order form at our booth or place your orders online at www.uhpress.hawaii.edu. We look forward to seeing you in cold, snowy Toronto!